Need a man with a van Swindon? When it comes to moving items in Swindon, you may find yourself presented with numerous options that turn out to be rather pricey. Although it may be tempting to hire a van to drive yourself, when you consider the additional time it takes, along with the money for fuel and the fact you may have to move heavy items entirely unaided, it can make a potentially stressful move even worse. By using a man with a van in Swindon however, the whole process is really straightforward and stress-free. It doesn’t matter if you’re moving house, moving offices or you just need to relocate a few items, a man with a van service can help with everything from small boxes to large furniture items. We can deliver or pick up any items you need moving, so if you’ve been searching around online for ‘man with a van Swindon’, then we could be what you’re looking for. See the below bullet points for more information on this service. Our service is just a click or a call away. 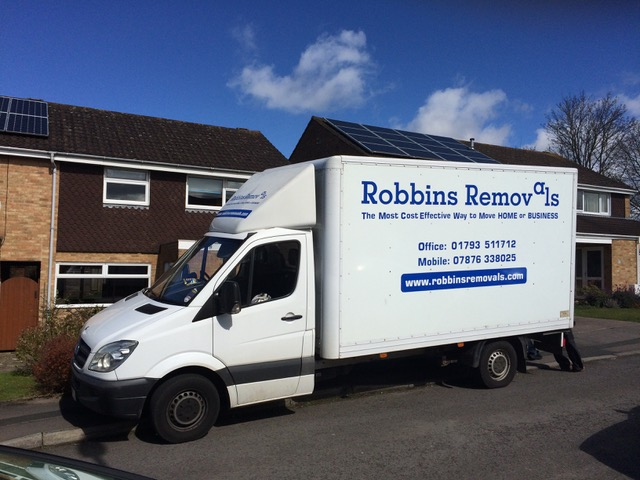 If you need something moving in the Swindon area, then please don’t hesitate to get in touch. We’ll be more than happy to help organise picking up and delivering whatever items you require moving. Having a man with a van at your service gives you the added convenience of your move being taken care of completely. Not only that, but it’s easy to organise – all you have to do is decide on a date and a time that works for you, and we’ll be there to carry out whatever job you have in mind. We offer a great transport solution in Swindon for anyone looking to move items big or small. We have plenty of experience in removals, so we know just how expensive some companies can be, particularly if you choose to hire a van yourself. With us, however, you’ll get a personal hassle-free man with a van service that will be tailored to suit the unique requirements of your move, all at a cost-effective price. When people consider moving house, quite often they instantly think that they need a big removal company to take care of everything for them, which could end up costing them more than they intended to spend on moving. With us, however, you’ll get a personal service that some of the bigger chains simply don’t offer. You may also find that some removal companies charge hidden fees that aren’t immediately clear when you ask for a quote. That’s not the case with our man with a van service, which has no hidden fees whatsoever and no VAT. The last thing you want to do if you’re moving is give yourself additional stress. Renting a vehicle can turn out to be a very stressful process, from filling out forms and buying petrol, to having to load and unload heavy items by yourself. It can be even more stressful if you’re not used to driving a van and have a long or hazardous journey ahead of you. To give yourself the best chance of a stress-free move, it’s a good idea to consider the benefits of hiring professionals to complete the job for you. We are fully insured, highly reliable and professional, meaning all you have to do is sit back and relax, safe in the knowledge that your move will be free of stress. Heavy items can be especially difficult to move, so if you’ve got a few items on the heavy side that need moving, it makes sense to hire a helping hand, especially if there are stairs or multiple storeys involved. We’ll make sure all of your heavy items are transported safely and securely and will be on hand to negotiate any potentially difficult moves on your behalf. It’s all part of our man with the van in Swindon service! You may have specific items such as a piano or other large items that need specialist expertise when it comes to removals. We can provide professional expertise, saving you from a potentially tricky move. We have a wealth of experience in transporting unusual and ‘difficult’ items, so know what to do to ensure they’re transported in a safe and timely manner. In these cases, it’s nearly always best to seek professional assistance, especially if the items are valuable. To get your move started, contact us today and we’ll be more than happy to assist you with any questions you may have. We are a great Man with a Van Swindon company!